The owners of sock sensation John's Crazy Socks, a company co-founded by a young man with Down's Syndrome, deliver a message about how to build a social media sensation and give back a bit, too. Mark Cronin knew it would be hard for his son, John — who has Down syndrome — to find a job after graduating from high school, so he asked John if he would be interested in starting a business together. The first idea was a food truck, but they ditched that after admitting neither of them could cook. The second idea was to sell socks. That was the launching point for John's Crazy Socks, which launched the second week of December, 2016. They sold 452 pairs the first day, prompting the company to completely run out of inventory. Since their auspicious debut, the company has sold over 105,000 pairs, generating more than $4 million US in revenue, and raising more than $130,000 US for charity. They've also become social media stars, featured everywhere from the BBC to Google, to the Fox Business Channel. 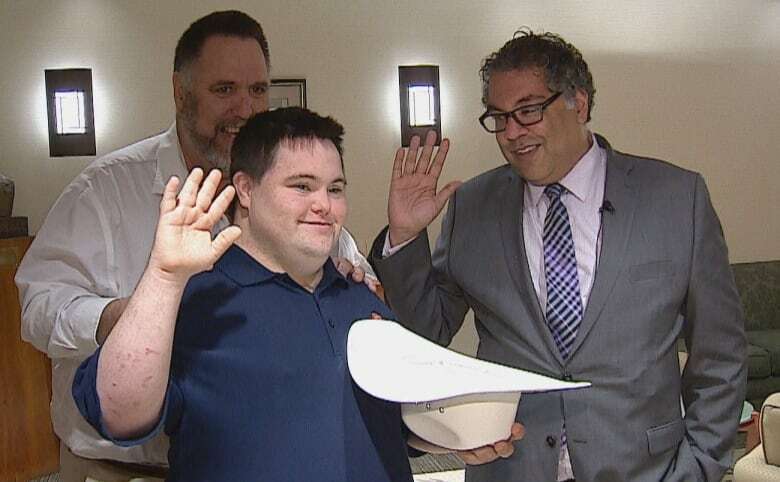 Both Cronins were in Calgary on Tuesday, where they presented Mayor Naheed Nenshi with a special pair of socks, while he presented them with a pair of white hats at a ceremony at city hall. After that, it was over to Indefinite Arts — the arts centre for people of differing abilities that recently lost its longtime home when the roof of the neighbouring Fairview Arena collapsed. On Tuesday, Indefinite Arts was hosting its annual general meeting, in addition to naming the winner of its own sock designing contest. Mark said he and John made the trip from New York because Indefinite Arts shares more than just a product with John's Crazy Socks. It shares a sense of possibility. "We're here in Calgary to support the Indefinite Arts Centre because we think it's a wonderful organization that highlights what people of different ability can do, highlights their creative capabilities and we'll come and do anything we can to support them," he said. If the winner of that contest is thinking about going into competition with the Cronins, they would do well to listen carefully to John and Mark's four pillars that are the guiding principles behind John's Crazy Socks, which they describe as a social enterprise. "The first and most important, is inspiration and hope. We want to show the world what's possible when you give someone a chance. For John here, he's the face of our business," said Mark. Mark says that the decision to hire 16 staff members of differing abilities wasn't made because he felt sorry for them. "That's a good business decision," he said. "Its no charity, it's no altruism. It helps our business run and succeed." The company also supports a variety of charities, including the Special Olympics — John is a Special Olympics rower — in addition to the National Down Syndrome Society and Autism Speaks. Every pair of socks they ship also includes a thank you note, some candy and a couple of discount coupons. 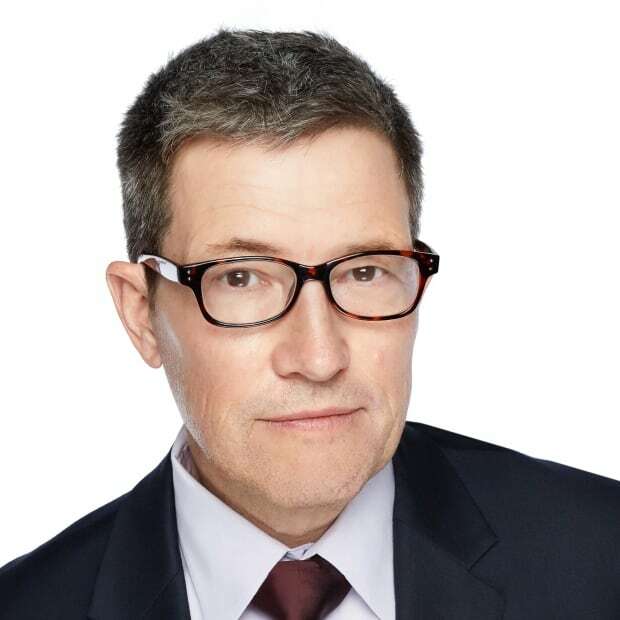 "All to be able to say, there are people here, and we're connecting with our customers," Mark says. The final pillar: a dazzling variety of socks. "Nineteen hundred different kinds of socks," said John. "We have a sock of the month club," added Mark. "And we have gift boxes and gift bags, the Monday Madness Mystery bag — we've been incredibly fortunate. "Every day, we 're showing what's possible. We go out and succeed because of the people we have working for us." Men's formal suit rules and trends: Are we wearing socks or what?